Between 3 kids, a husband who travels a lot for work, and all the craziness, sometimes I struggle trying to find time for cooking. 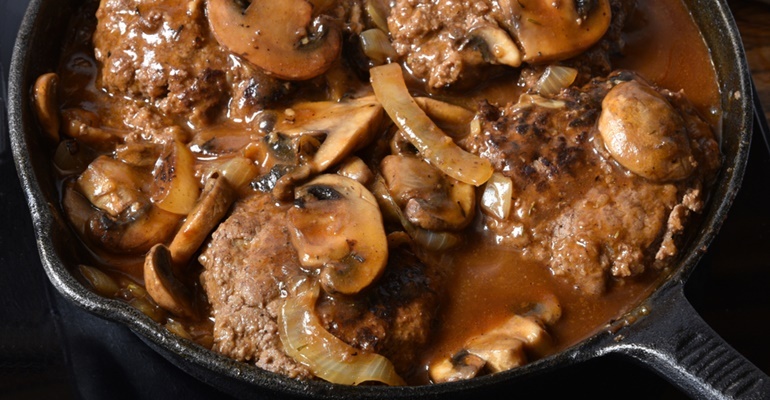 If you want some fairly quick and easy Southern comfort food for your dinner, this Salisbury steak recipe is a good choice. It comes with a delicious gravy and yummy caramelized onions, and you can have all of it ready in an hour or less. Quick Tip: Add any of your favorite seasonings! Old-Fashioned Dixie Cornbread – A Southern Delight!